Lorie Huston, DVM, was a former writer for The Spruce. As a veterinarian, she worked primarily with dogs and cats, providing both medical and surgical care for her patients. 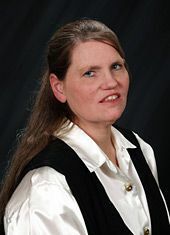 Lorie provided written material for numerous internet and print publications. She was frequently contacted as an expert source by members of the media. Professionally, Lorie was a member of the American Veterinary Medical Association, the Rhode Island Veterinary Medical Association, the Dog Writer's Association of America, and the Cat Writer's Association. Lorie Huston earned a Bachelor of Science degree from the University of Nebraska-Lincoln in 1982 and Doctor of Veterinary Medicine from Iowa State University in 1986. She was a certified veterinary journalist. She was the author of "Labrador Retrievers: How to Be Your Dog's Best Friend." Lorie Huston was also the owner and author of the award-winning blog, Pet Health Care Gazette. In addition, she was the featured writer for pet care at Suite101.com and was the National Pet Health Examiner at Examiner.com. She also contributed to the UntrainedHousewife.com as the featured pet columnist. Are There Other Treatment Options Besides Insulin for Diabetic Dogs?